Connecting the North and South train stations in Boston by tunnel would come at a Big Dig-level cost of at least $12 billion, and possibly as high as $21.5 billion, state officials said Monday. It was unclear whether the estimate, included in a draft study of the proposed project, makes the long-debated rail link too expensive at a time when the state is under pressure to improve transportation on multiple fronts. While government officials declined to take a position, advocates said the state should press forward, anyway, and critics seized on the costs as reason to drop the idea of a rail link once and for all. Linking North Station and South Station so that passengers could be carried across Boston and to points beyond had previously been rejected, but the proposal resurfaced recently with the advocacy of two former governors, Democrat Michael Dukakis and Republican William Weld, and US Representative Seth Moulton, a Democrat. The new tracks would give the commuter rail system more flexibility to move trains around and run more frequent service. The proposal is competing with another idea: Expand South Station and boost service levels to the south and west. On Monday, officials said they would await the results of yet another study — about the future of commuter rail service — before settling on options. But Democratic state Representative William M. Straus of Mattapoisett, House chairman of the Legislature’s Joint Committee on Transportation, said money would be better spent on other projects. Straus said the state would not be able to count on the federal government to pay the costs, as it did with the Big Dig project, which put the Central Artery in downtown Boston underground. Some advocates all but accused the state of manipulating the numbers to make the rail link look too expensive. Dukakis said that modern tunneling technology could do the job for less money. And Moulton said the state is vastly underestimating how many people would benefit from the additional flexibility afforded by the connection. North and South stations are about one mile apart, as the crow flies. “This study analyzed the rail link in the context of the commuter rail network of today — an exercise akin to examining the costs of an interstate highway system while assuming that people will continue to travel by horse and buggy,” Moulton said in a statement. The study, conducted by the global engineering firm Arup, considered various options and configurations. One route would follow the existing Interstate 93 tunnel between the two stations, another would go along Congress Street through the Financial District, and a third would jump between Congress and Pearl streets and be as deep as 195 feet below ground. A version with just two underground tracks between the stations would cost $12 billion and increase commuter rail ridership from 125,000 currently to about 225,000, according to the estimate; adding a second set of tracks and an additional station between the two would balloon the cost to $21.5 billion, but push ridership to 250,000. Much of the additional ridership would come from running more trains across the entire commuter rail system; some North Shore commuters would be able to travel all the way to South Station or to Back Bay Station. The study concluded that only 3 percent of North Shore riders would use the rail link to travel to South Shore destinations, though advocates have said that the ability to commute to destinations on either side of Boston would be a major benefit of the project. The cost estimates include new vehicles and other investments to increase train frequencies and are adjusted for inflation through 2028. By contrast, expanding South Station and running trains more frequently would boost ridership to about 195,000, at a cost of $4.7 billion, the study estimates. Daily ridership on the subway system, meantime, is about 700,000 passengers. 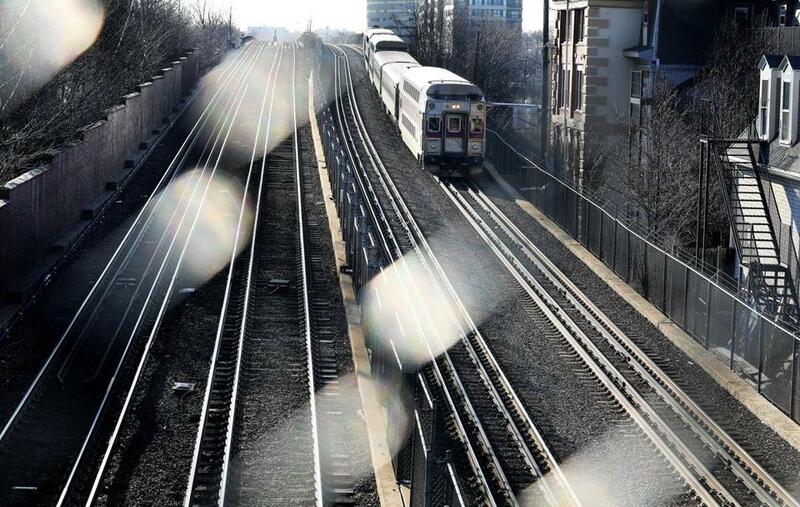 The rail link estimates surfaced on the same day the Massachusetts Supreme Judicial Court rejected a proposed ballot question that would have raised taxes on high-earners and used some of the funds for transportation projects. The estimates also far exceed a previous projection from a class at Harvard University, which put the rail tunnel’s cost at $4 billion to $6 billion. The prospect of an expensive tunneling project under Boston no doubt conjures up memories of the Big Dig, whose legacy Bostonians still grapple with. While it opened up parts of Boston for development and parks, it caused years of traffic disruption and cost overruns in the billions. The state and the MBTA are still paying off that project’s debt. John Vitagliano, a former Boston transportation director under Mayor Kevin White, said the Big Dig showed the costs of megaprojects like the rail link can spiral. “It could be even more costs over and above, rather than less, based on my experience with the Big Dig,” he said. Also on Monday, state officials outlined other transit projects they will prioritize for completion by 2040, including expanding the Silver Line to Everett, converting to a zero-emissions bus fleet, and creating a pedestrian connection between two subway stations, Downtown Crossing and State Street, that will make it easier to transfer between the T’s Red and Blue lines.